The narrator of Written on the Body has neither name nor gender; the beloved is a married woman. And as Winterson chronicles their consuming affair, she compels us to see love stripped of cliches and categories, as a phenomenon as visceral as blood and organs, bone and tissue - and as strange as an undiscovered continent. New York Times Book Review: "At once a love story and a philosophical meditation... A distinctive mix of romanticism and irony, erudition and passion." Washington Post Book World: "A wildly original writer... 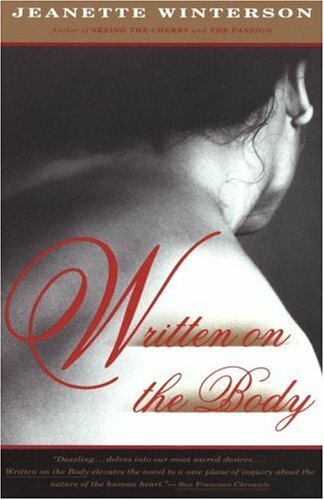 Written on the Body is a very, very special book. The vision of love it offers is revolutionary, and is sorely needed."